MasterClass Review (2019) - Is MasterClass Worth It? 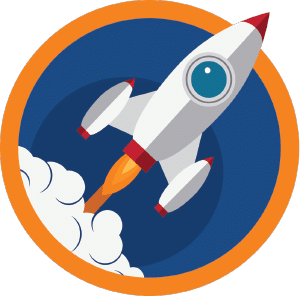 MasterClass Review – Is MasterClass Worth It? Check out the latest MasterClass special discounts and offers. 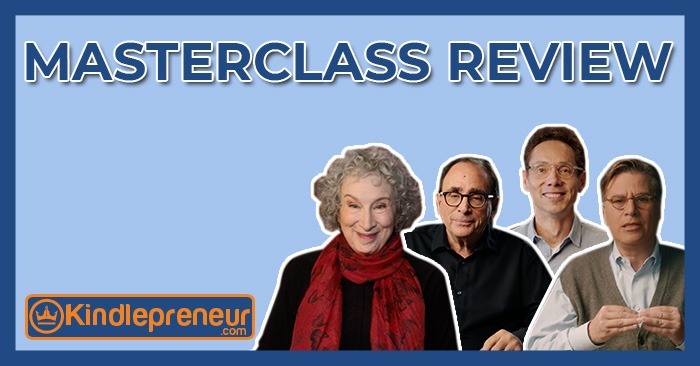 I had to write a MasterClass review because a while ago, I saw a commercial saying some of my writing heroes, like Malcolm Gladwell, would be teaching their art through an online course system called MasterClass. Wait, what? Really? After quickly checking it out, I found that it wasn’t just famous writers, but many famous people in their art, teaching on this online platform and all for what seemed like an afforable price. This drove me to ask what exactly is MasterClass and is MasterClass worth it? After trying it out, I created this MasterClass review. There are a lot of great things about MasterClass, but there are also a couple letdowns that I want you to know about before you think about getting it. Also, before we begin, I just wanted to be upfront and let you know that the links below are affiliate links. If you purchase MasterClass, it would add to my coffee fund and keep the writing going but will not affect your overall price. Nor did this affect my decision on the course. What Is Master Class and Is it For Me? 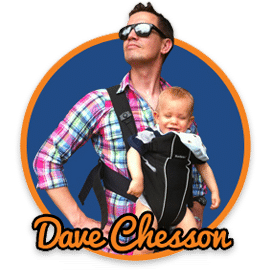 MasterClass is an online learning platform, created by David Rogier and Aaron Rasmussen in 2015 and has quickly become the go to online course system hosting the best in the industry as your teacher. MasterClass instructors are genuine A-List legends within their respective fields. The quality of their wisdom and experience is matched by beautiful video and well-presented workbooks. They also have a twitter page, and facebook page so you can keep up to date with all their latest class releases and any of the star’s Ask Me Anything sessions. More so, it looks like MasterClass will be expanding their offerings to things like Entrepeneurism and Politics very soon. You can access Masterclass online, or on your phone or Apple TV by downloading the app. This last part, I didn’t know about until later. My wife and I were hooking up my laptop in a wonky way in order to watch it on our TV – whoops. If you’d like ot learn more abut Masterclass as a whole, they have an incredibly easy to read FAQ section. What MasterClass Classes Are Offered? And so many more. As a matter of fact, they are always coming out with more. Just recently they announced adding Neil Gaiman! Those that have access to MasterClass.com will always get the new courses when they come out. Previously, there was an option to take a free trial with MasterClass, but that is no longer available. You can also gift someone a MasterClass course using a special option on their website. There are many websites that talk about a MasterClass discount code or coupon and the truth is that MasterClass doesn’t offer any. When it first came out, they had discounts that were common, but no longer. Instead, MasterClass will sometimes offer specials or discounts, but it is open to everyone when you arrive at their site, and it isn’t something you find a code for. Below is a link to where the special would be offered if there is one. There are a lot of great courses on MasterClass that aren’t specific to writing like Serena Williams teaching tennis or Steven Martin teaching comedy. However, writing has always been my favorite. So, after grabbing a case of Red Bull and some snacks, I plopped down and selected a few of the MasterClass courses I feel will be of most interest to self-publishers and explored them in more detail below. For each course, I’ve given a bit of info about the course instructor, selected a few of the lessons from the course syllabus, and highlighted why I think they are valuable for you as a Kindlepreneur reader. This isn’t a MasterClass review of all the writer courses out there, but does represent the best that I found. James Patterson is one of the best-known names in American writing. He has written countless bestsellers, including the Alex Cross and Maximum Ride series, and publishes at a prolific rate. In his MasterClass, James Patterson shares his insight into the process of writing, accompanied by countless priceless anecdotes from his life and career. This MasterClass consists of 22 lessons covering over 3 hours of video, as well as a workbook with extra material and assignments. You can submit drafts for critique by the class community. Outlining. James Patterson is known for being a master outliner, which is part of the secret behind his prolific rate of publication. Here, James breaks down his personal outlining process and illustrates it with an outline from a bestselling novel he has never before shown anyone. Writing Suspense. James Patterson novels are known for being page-turners that keep the readers hooked. Here, James reveals his secret recipe for suspenseful writing. Book Titles and Covers. James reveals the top tips you need to keep in mind when choosing your book title and book cover. Working with a Co-Author. Two of Patterson’s collaborators help teach this lesson, which explains the secrets for successful co-authoring. Marketing The Patterson Way. Before James Patterson became a bestselling novelist, he was a top advertising executive. 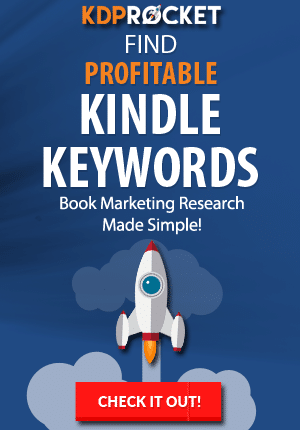 This perspective gives him unique book marketing insight you won’t find anywhere else. Overall, I feel the James Patterson MasterClass is one of the most enjoyable and useful learning experiences I’ve ever had. I feel like I have a good sense of Patterson’s personality, and I learned some writing tips I’ve never heard mentioned anywhere else. It’s an absolute gem of a course. Margaret Atwood is truly a living legend in the world of fiction. She has never been more famous due to the runaway success of the TV adaptation of one of her best-known works, The Handmaid’s Tale. Margaret Atwood is known for writing gripping dystopian fiction that packs a powerful message. Margaret Atwood’s MasterClass is taught in over 20 video lessons. Students also receive a workbook with extra material. Students can upload videos to the class community to receive critiques. Margaret Atwood herself will also critique some lucky students! Structuring Your Novel. Layered Narratives and Other Variations. In this lesson, Atwood uses real stories, both her own and others, to explain the various ways a novel can be structured. Choosing the right structure is a real struggle for many writers, so this lesson alone makes her course worth taking. Creating Compelling Characters. A valuable lesson for every fiction writer out there. Explores how to make characters memorable and vivid, and explains how gender impacts character creation. Speculative Fiction Case Study. The Handmaid’s Tale. Margaret Atwood uses her most famous novel as an illustration for her own process of researching and getting inspiration for a speculative fiction project. Research and Historical Accuracy. Research can make or break any book project. This is a unique chance to learn the exact research process used by one of the most successful writers out there. The Business of Being a Writer. Sure to be of interest to you as a Kindlepreneur reader, Atwood explains the business aspects of writing, such as finding an agent, how she deals with criticism, and negative reviews. Margaret Atwood is truly one of the most respected names in literature. The fact that she is teaching a new MasterClass is a testament to the quality and power of the MasterClass brand. I’m confident fiction writers in particular, as well as all writers in general, will find a lot to love in Margaret Atwood’s MasterClass. Malcolm Gladwell is one of the bestselling and most respected nonfiction writers of recent years. Gladwell is known for distilling very complex concepts down into a more understandable form. Many of the concepts he has popularized, such as “10,000 hours of practice to achieve mastery”, have sunk into the popular imagination. 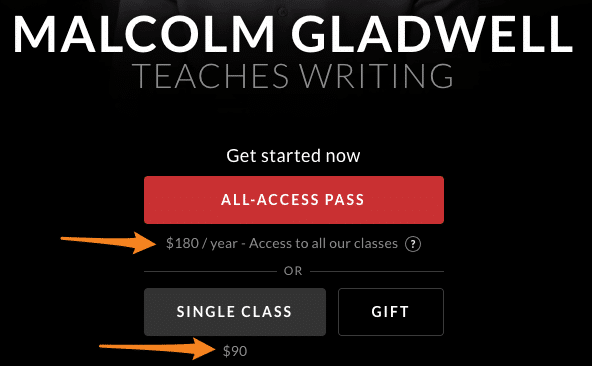 Malcolm Gladwell teaches his MasterClass over 24 lessons, a workbook with recaps and assignments, and office hours where Malcolm will answer select questions that are posed by Master Class students. Developing the Story. This lesson teaches how Malcolm takes the initial seed of a story idea and develops it into something more, drawing upon the feedback of his family and friends in the process. Structuring Language. A technical look at punctuation and sentence length. Gladwell explains how these seemingly technical aspects of writing can be used to help readers understand difficult ideas. Tone and Voice. Malcolm explains how he matches his tone and voice to audience expectations, drawing upon examples from his own career to illustrate the techniques he shares. Titles. Here Malcolm explains how the primary purpose of a title is to grab a reader’s attention, and the best way to do this is by playing on their emotions. How to Read. Seeing as one of the major keys to being a great writer is to be a great reader, Malcolm Gladwell makes a point of sharing his personal strategies for reading intelligently in this MasterClass lesson. Malcolm Gladwell’s status as a bestselling writer of nonfiction and respected journalist means this MasterClass will hold a special appeal for nonfiction writers, but I think any writer could learn a lot from his lessons. The above aren’t all the MasterClasses out there on writing, but these were my favorite so far. There still are courses by Aaron Sorkin on Screenplay writing, or Judy Blume, R.L. Stine, and I’ve even heard that Neil Gaiman will be added soon. While the people selected to lead the classes were all some of the best in the trade, many of them weren’t exactly great teachers. Hats off to the video editors in trying to make some of these as stellar as possible, but the level of actual teach was sometimes scarce. Don’t expect these to be very technical, but more strategic in nature. Think of them more like intensive Ted X talks but with very famous people leading it. Would this be enough to deter me? No, because the price is so cheap that I think all these negatives don’t outweigh the gains my wife and I got out of it. Here is my video MasterClass review showing you my thoughts and even taking you behind the scenes to see it in action. In preparing for this MasterClass review, I took different courses in writing and other subjects. I found that each course was different in its organization and feel. Some were very tactical in their approach giving step-by-step actions (Wolfgang Puck’s comes to mind), while others were more theoretical and strategic in nature (Malcolm Gladwell). At times, this varying style and level of detail was enjoyable. It was as if you entered into each class, not knowing exactly what to expect – but expecting that it will be mind-blowing to some degree. I also respect that through their different styles, it was reflective of the artist and how they wanted to approach their art and deliver their message. deadMau5 didn’t give you steps to creating music but more of the processes, thoughts, and struggle that he faces in delivering his music. Although I found some amazing information in the comments on required software and technical aspects, deadMau5 wasn’t there to talk technical. He was there to teach about his style of art. But, there were times when I wished some creators would go deeper to show some “how-to” aspects to their art. At one point, R. L. Stine talked about how he researches and plans for a new book. I would have LOVED to see him actually put one of my old faves together. But no. Instead, we breezed over his process. So, in the end of this MasterClass review, I can say that each class was absolutely worth watching. It was incredible to have such a candid approach from true masters of their art. But MOST of these courses will not give you the tools to jump right up and implement the lessons if you’re a true beginner. Instead, most are more of a high-level discussion on the art. I’ve still got my annual subscription, and my wife and I are planning to watch a couple more instead of a Netflix film. Next up, Gordon Ramsay’s Cooking and Space Exploration by Chris Hadfield and …because apparently, that’s how my wife and I do dates these days. That and a bottle of wine.